 Young Elected Officials (YEO) 2013 National Convening, Washington, D. C.
 The Whitmore Project - a project to revitalize Central Oahu by re-establishing agricultural dominance in the area resulting in creation of jobs and promoting economic development.  Publications: The Okazu Guide, The Puka Guide, The Omiyage Guide - books focusing on such cultural activities as exploring Japanese delicatessens; "hole-in-the-wall" places that locals like to frequent; and places to buy gifts for those who engage in the local tradition of buying gifts when they travel. SB364 SD2 RELATING TO TOURISM. SB366 SD2 HD2 RELATING TO HEALTH. SB370 RELATING TO THE HAWAII TECHNOLOGY DEVELOPMENT CORPORATION. 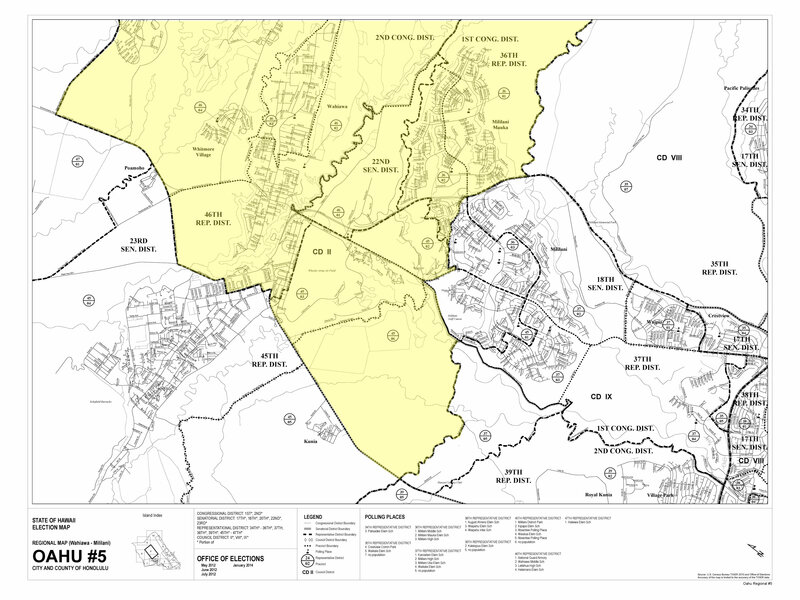 SB381 SD2 HD1 RELATING TO AGRICULTURAL LANDS. SB384 RELATING TO COLLECTIVE BARGAINING. SB386 RELATING TO MOTOR VEHICLE SUN SCREENING DEVICES. SB394 SD1 HD1 RELATING TO TAXATION. SB395 SD1 RELATING TO CONVEYANCE TAX. SB492 SD2 HD2 RELATING TO THE DEPARTMENT OF HUMAN SERVICES. SB494 SD1 HD1 CD1 RELATING TO THE GENERAL FUND BALANCE. SB495 SD2 HD1 RELATING TO TAXATION. SB711 SD1 HD1 RELATING TO AGRICULTURAL LAND. SB712 SD2 RELATING TO TAXATION. SB713 RELATING TO THE HAWAII TOURISM AUTHORITY. SB714 SD2 RELATING TO THE TRANSIENT ACCOMMODATIONS TAX. SB1128 RELATING TO IMPROVEMENTS AT LEILEHUA HIGH SCHOOL. SB1129 RELATING TO CAPITAL IMPROVEMENT PROJECTS FOR THE WAHIAWA PUBLIC LIBRARY. SB1130 SD1 HD1 RELATING TO TAXATION. SB1131 SD2 HD2 RELATING TO OHANA ZONES. SB1132 RELATING TO THE UNIVERSITY OF HAWAII COMMUNITY COLLEGES. SB1359 SD2 HD1 RELATING TO THE AGRIBUSINESS DEVELOPMENT CORPORATION. SB1360 SD1 HD1 RELATING TO TAXATION. SB1361 SD1 RELATING TO ESTATE TAXES. SB1362 SD1 RELATING TO THE CONVEYANCE TAX. SB1458 RELATING TO CAPITAL IMPROVEMENTS FOR THE WAHIAWA WASTEWATER TREATMENT PLANT. SB1459 SD2 HD2 RELATING TO THE STATE SURFING COMMISSION. SB1460 SD1 HD1 RELATING TO INTOXICATING LIQUOR. SB1504 SD1 RELATING TO TAXATION. SCR29 URGING CONGRESS TO AMEND TITLE 42 UNITED STATES CODE SECTION 16355 AND LIFT THE PROHIBITION ON THE ESTABLISHMENT OF NEW NATIONAL LABORATORIES. SCR30 URGING THE GOVERNOR TO IDENTIFY LANDS SUITABLE FOR THE ESTABLISHMENT OF A NEW NATIONAL LABORATORY IN HAWAII. SCR31 SD1 URGING THE STATE CAPITOL MANAGEMENT COMMITTEE TO DESIGNATE THE HAWAII STATE CAPITOL BUILDING AND ITS GROUNDS AS A SINGLE-USE PLASTIC FREE ZONE. SCR36 URGING THE CONGRESS OF THE UNITED STATES TO CALL A CONVENTION FOR PROPOSING AMENDMENTS PURSUANT TO ARTICLE V OF THE UNITED STATES CONSTITUTION LIMITED TO PROPOSING AMENDMENTS THAT IMPOSE FISCAL RESTRAINTS ON THE FEDERAL GOVERNMENT, LIMIT THE POWER AND JURISDICTION OF THE FEDERAL GOVERNMENT, AND LIMIT THE TERMS OF OFFICE FOR ITS OFFICIALS AND FOR MEMBERS OF CONGRESS. SCR52 REQUESTING THE DEPARTMENT OF COMMERCE AND CONSUMER AFFAIRS TO AMEND THE DEFINITIONS OF "EMERGENCY MEDICAL TECHNICIAN-BASIC" AND "EMERGENCY MEDICAL TECHNICIAN-PARAMEDIC" UNDER SECTION 16-85-53.5, HAWAII ADMINISTRATIVE RULES. SCR116 REQUESTING THE PRESIDENT OF THE SENATE AND SPEAKER OF THE HOUSE OF REPRESENTATIVES TO CONVENE A TASKFORCE TO REVIEW EXISTING LAWS RELATING TO DRIVING UNDER THE INFLUENCE OF AN INTOXICANT AND MAKE RECOMMENDATIONS ON HOW TO STRENGTHEN APPLICABLE LAWS. SCR117 REQUESTING THE DIRECTOR OF TAXATION TO CONVENE A TASK FORCE TO CONSIDER WORLDWIDE COMBINED REPORTING OF CORPORATE INCOME. SCR118 SD1 REQUESTING THE DEPARTMENT OF AGRICULTURE TO DESIGNATE AREAS IN EACH COUNTY FOR DAIRY OPERATIONS AND DEVELOP INCENTIVES TO INCREASE DAIRY OPERATIONS IN THE STATE. SCR154 REQUESTING THE UNIVERSITY OF HAWAII OFFICE OF INTERNAL AUDIT TO CONDUCT AN AUDIT OF VARIOUS PROGRAMS AT THE UNIVERSITY OF HAWAII WEST OAHU THAT RECEIVE EXTRAMURAL FUNDING, INCLUDING TITLE III GRANT FUNDING. SCR157 REQUESTING THE DEPARTMENT OF AGRICULTURE TO DEVELOP A SUSTAINABLE FOOD SECURITY STRATEGIC PLAN AND PREPARE AN ANNUAL REPORT TO THE LEGISLATURE. SCR158 ENCOURAGING THE HAWAII TOURISM AUTHORITY AND THE DEPARTMENT OF LAND AND NATURAL RESOURCES' STATE HISTORIC PRESERVATION DIVISION TO WORK WITH COMMUNITY ORGANIZATIONS TO ASSIST IN THE ESTABLISHMENT OF HISTORICAL MARKERS AND TRAILS. SCR159 REQUESTING STATE EMPLOYERS TO CAPITALIZE UPON THE POTENTIAL OF THE STUDENT INTERN (PROFESSIONAL) I & II PROGRAM TO PREPARE HAWAII'S COLLEGIATE STUDENTS FOR EMPLOYMENT WITH THE STATE. SCR210 URGING THE UNIVERSITY OF HAWAII TO SUPPORT THE ESTABLISHMENT OF A COLLECTIVE BARGAINING UNIT FOR GRADUATE STUDENT ASSISTANTS EMPLOYED AT THE UNIVERSITY. SCR211 SD1 REQUESTING THE FINALIZATION OF MEMORANDUMS OF UNDERSTANDING AND OTHER ACTIONS FOR PURPOSES OF DIVERSIFYING SOURCES OF IRRIGATION IN CENTRAL OAHU. SR21 URGING CONGRESS TO AMEND TITLE 42 UNITED STATES CODE SECTION 16355 AND LIFT THE PROHIBITION ON THE ESTABLISHMENT OF NEW NATIONAL LABORATORIES. SR22 URGING THE GOVERNOR TO IDENTIFY LANDS SUITABLE FOR THE ESTABLISHMENT OF A NEW NATIONAL LABORATORY IN HAWAII. SR23 SD1 URGING THE STATE CAPITOL MANAGEMENT COMMITTEE TO DESIGNATE THE HAWAII STATE CAPITOL BUILDING AND ITS GROUNDS AS A SINGLE-USE PLASTIC FREE ZONE. SR86 REQUESTING THE PRESIDENT OF THE SENATE AND SPEAKER OF THE HOUSE OF REPRESENTATIVES TO CONVENE A TASKFORCE TO REVIEW EXISTING LAWS RELATING TO DRIVING UNDER THE INFLUENCE OF AN INTOXICANT AND MAKE RECOMMENDATIONS ON HOW TO STRENGTHEN APPLICABLE LAWS. SR87 REQUESTING THE DIRECTOR OF TAXATION TO CONVENE A TASK FORCE TO CONSIDER WORLDWIDE COMBINED REPORTING OF CORPORATE INCOME. SR88 SD1 REQUESTING THE DEPARTMENT OF AGRICULTURE TO DESIGNATE AREAS IN EACH COUNTY FOR DAIRY OPERATIONS AND DEVELOP INCENTIVES TO INCREASE DAIRY OPERATIONS IN THE STATE. SR123 REQUESTING THE DEPARTMENT OF AGRICULTURE TO DEVELOP A SUSTAINABLE FOOD SECURITY STRATEGIC PLAN AND PREPARE AN ANNUAL REPORT TO THE LEGISLATURE. 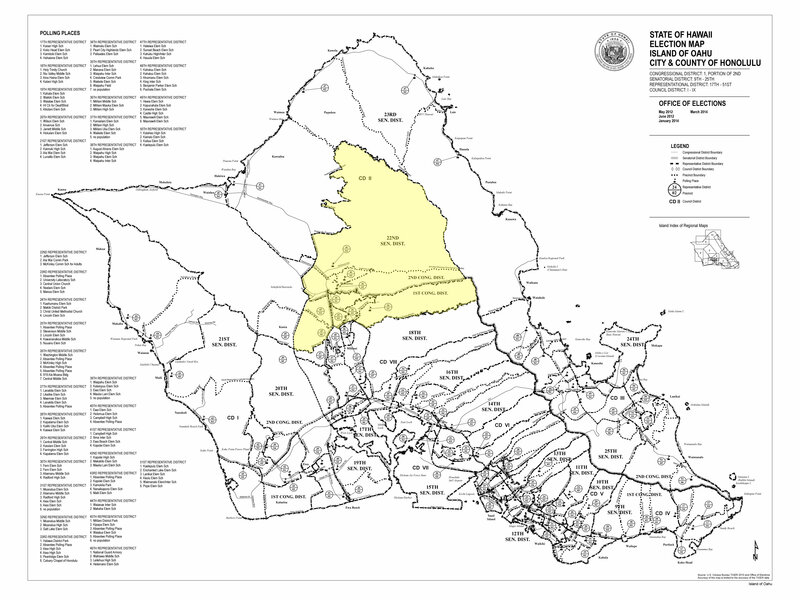 SR124 ENCOURAGING THE HAWAII TOURISM AUTHORITY AND THE DEPARTMENT OF LAND AND NATURAL RESOURCES' STATE HISTORIC PRESERVATION DIVISION TO WORK WITH COMMUNITY ORGANIZATIONS TO ASSIST IN THE ESTABLISHMENT OF HISTORICAL MARKERS AND TRAILS. SR125 REQUESTING STATE EMPLOYERS TO CAPITALIZE UPON THE POTENTIAL OF THE STUDENT INTERN (PROFESSIONAL) I & II PROGRAM TO PREPARE HAWAII'S COLLEGIATE STUDENTS FOR EMPLOYMENT WITH THE STATE. SR169 URGING THE UNIVERSITY OF HAWAII TO SUPPORT THE ESTABLISHMENT OF A COLLECTIVE BARGAINING UNIT FOR GRADUATE STUDENT ASSISTANTS EMPLOYED AT THE UNIVERSITY. SR170 SD1 REQUESTING THE FINALIZATION OF MEMORANDUMS OF UNDERSTANDING AND OTHER ACTIONS FOR PURPOSES OF DIVERSIFYING SOURCES OF IRRIGATION IN CENTRAL OAHU. Senator Donovan M. Dela Cruz currently serves as Chair of the Committee on Ways and Means. He also sits as a member of the Committee on Education. 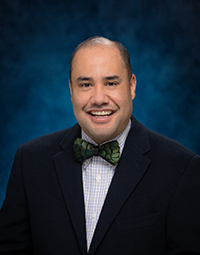 Senator Dela Cruz previously served as a City Councilmember for the City and County of Honolulu for eight years. In 2003, he became the youngest person to ever Chair the Honolulu City Council at the age of 30. Watch the video on youtube.com. Watch the video on kitv.com. Read the article on staradvertiser.com. Read the article on bigislandnow.com.